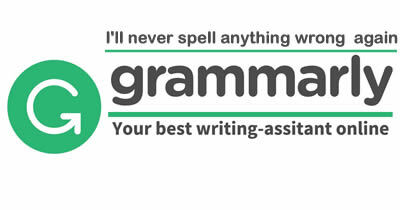 Develop your reading skills. Read the following text about the difference between African and Asian elephants. Both African and Asian elephants are descendants of the same family, Elephantidae, but they are of different genus. The African elephant belongs to the Loxodonta africana genus while the Asian elephant belong to the Elephas maximus genus. 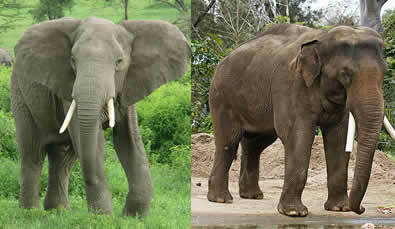 African and Asian elephants may look similar but there are basic differences. African elephants have larger ears reaching the size of the animal's whole head. Asian elephants have smaller ears. The back of an African elephant has a defined slope, while the Asian elephant has a flatter back. Both male and female African elephants have tusks. However, only some Asian male elephants have tusks which are noticeably smaller than those of the African elephants. The African elephant's trunk is equipped with two "fingers". These allow it to grasp onto leaves and grasses before bringing them to its mouth. Asian elephants trunk, however has only one "finger". They use this single "finger" to curl around food, which they then squeeze up into their mouths. African elephants are smooth-headed. Asian elephants have a distinctly humped skull.